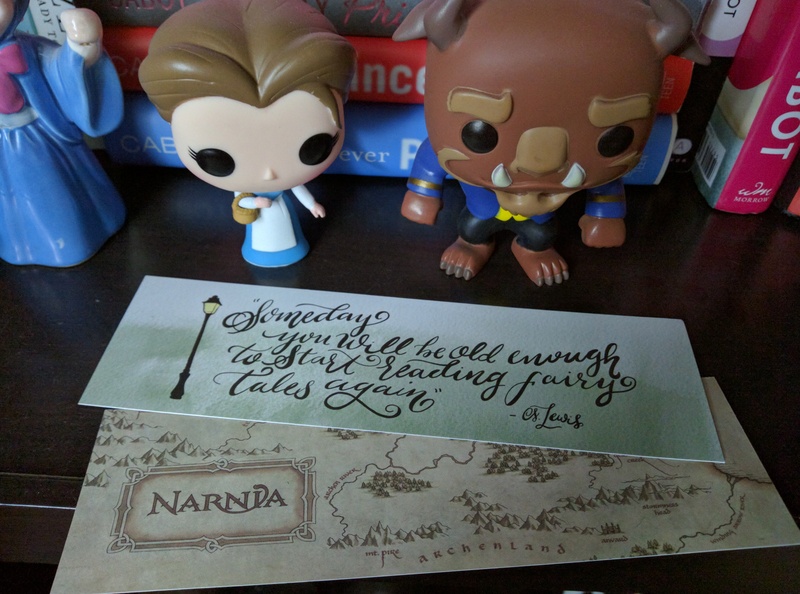 Now, I may not be the biggest fan in the world of Chronicles of Narnia, but there will always be a part of me that loves the idea of escaping to Narnia. 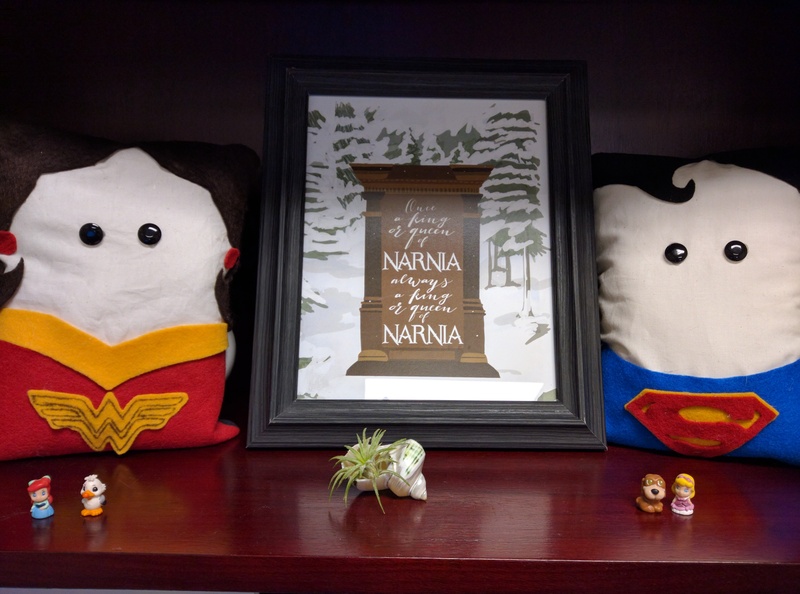 The main print says “Once a king or queen of Narnia, always a king or queen of Narnia”. I love the feel of the picture and the typography of it. I decided to put in my office at work, and each month I’ll change it out. 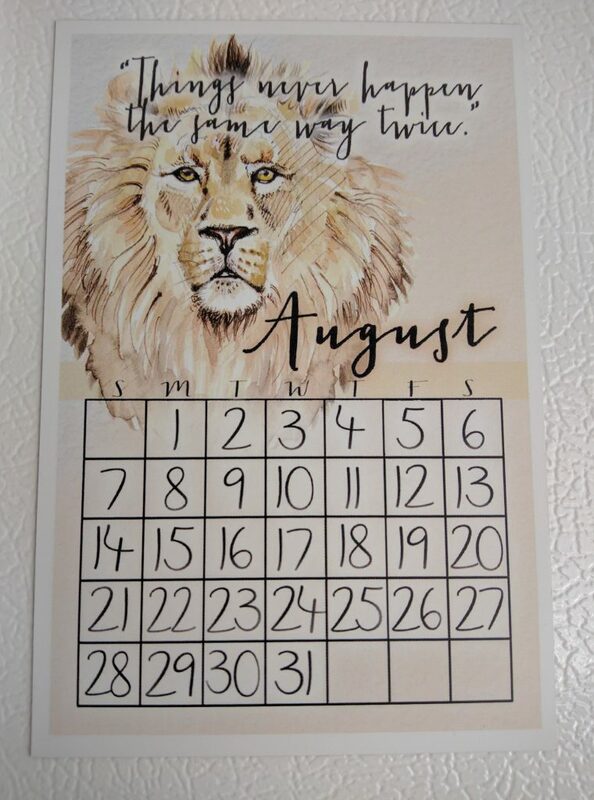 The August calendar magnet says “Things never happen the same way twice.” Which for my birthday month is a lovely sentiment. 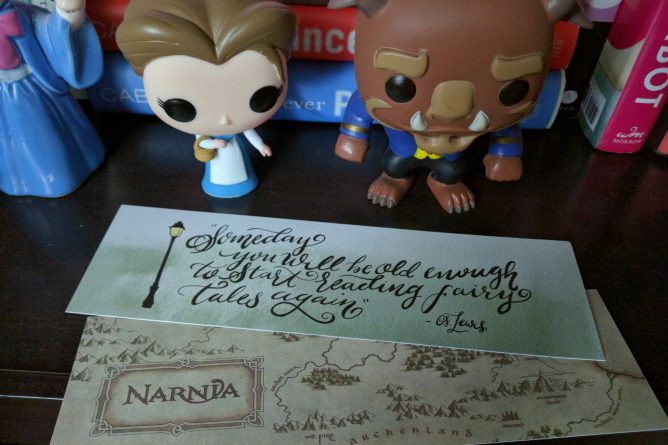 I also received two bookmarks with “Someday you will be old enough to start reading fairy tales again” on the front and a map of Narnia on the back. I’ve taken to using that to mark my week in my bullet journal. As well as a temporary tattoo that says “I <3 Books”. 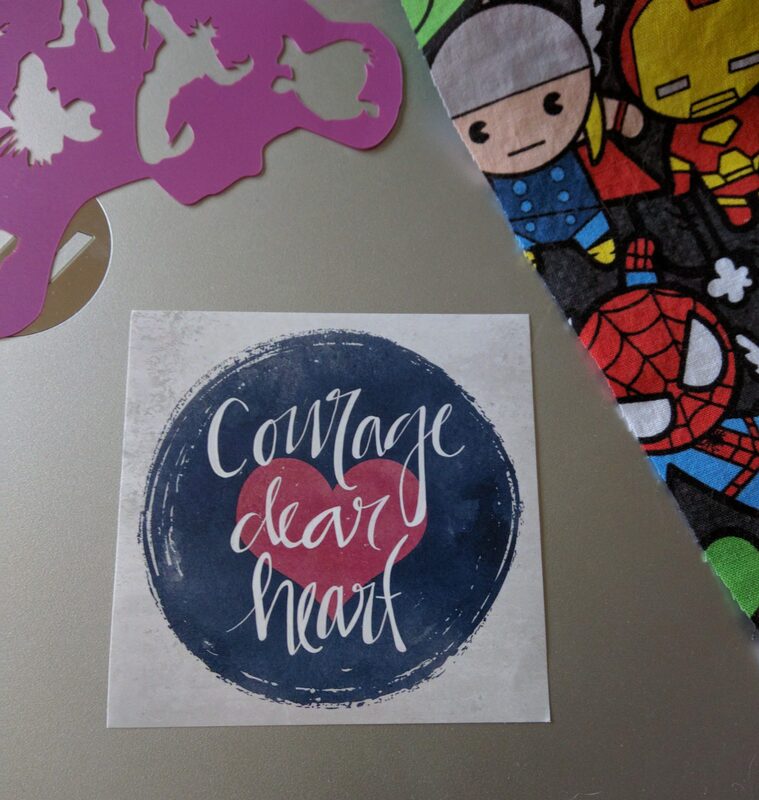 Lastly, a sticker that says “Courage dear heart”. For whatever reason, this is the one I love the most. Courage is a theme for me this month, no particular reason, just a feeling that I should pluck up some more courage than I normally do. Overall, I’m VERY happy with my first “box”. The quality of the items is amazing and they are so pretty. I’m a sucker for typography, so all of this is greatly appealing to me. 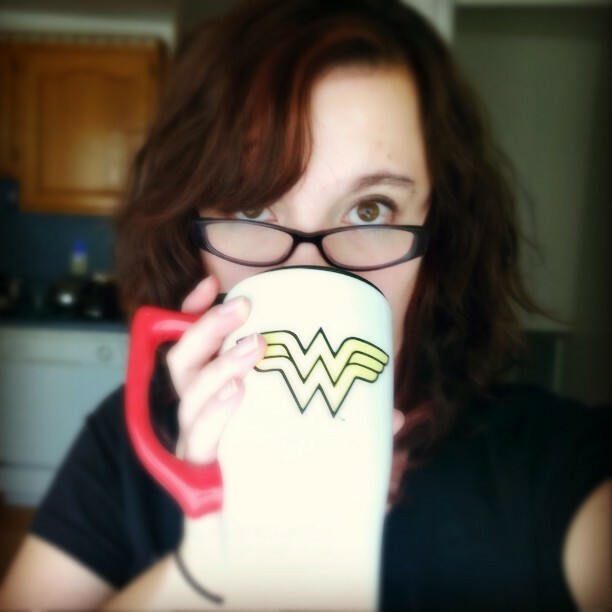 Half Blood Prints Monthly is a monthly subscription where you receive fandom inspired art each month. 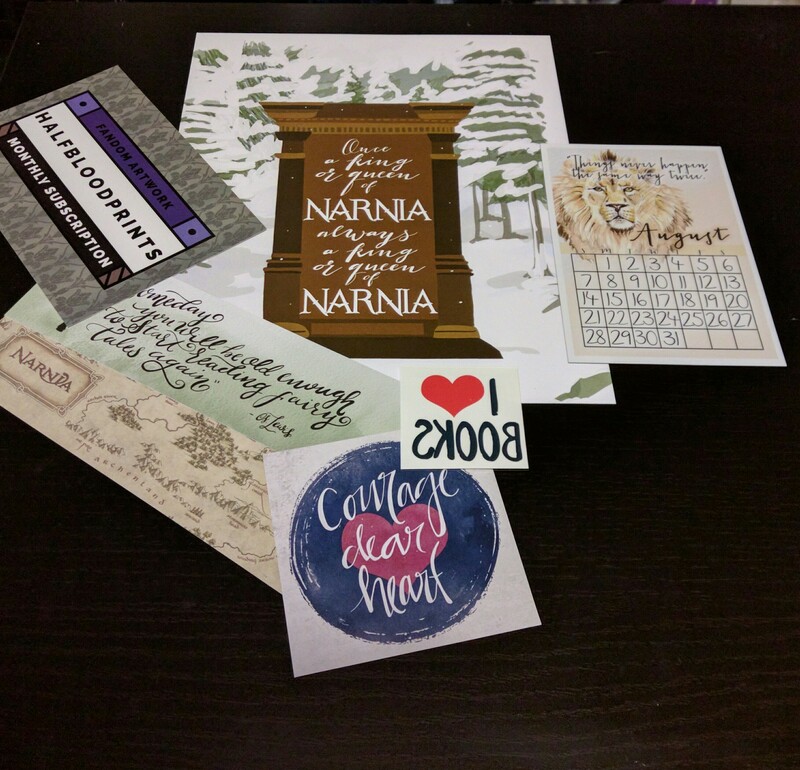 In each envelope is an 8×10 full color picture for the months theme, a bookmark following the same theme, a magnetic calendar, and 3×3 sticker. Each item falls into the same theme for the month. ALL OF THIS, for only $8 +shipping per month (or $18.99 +shipping if you want the premium subscription)! Even if you don’t want to subscribe to the monthly one, they even have a shop that carries some truly gorgeous artwork that you don’t have to wait a month to receive.